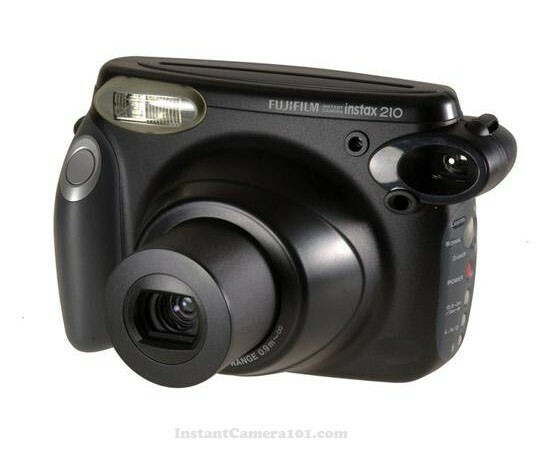 Fujifilm Instax 210 is the cheapest instant camera in the market today. It sells for very cheap in online stores like Amazon. It might be not popular or known like Fujifilm Instax Mini series cameras but Instax 210 is really a good instant photo camera if you want quality photo prints. This is the first Instax camera with 3×4 photo size which is similar to Polaroid 600 film. Now there is a newer model released by Fuji which is called Fujifilm Instax 300 and it’s the successor of this old workhorse. But that doesn’t mean this camera is badly outdated. 210 is still a lot better than old Polaroid cameras like type 600, SX-70 etc. It’s even better than Instax 7s or Polaroid 300. The only downside of this camera is large size. Unlike those Instax instant photo cameras, you can not keep this one in your handbag. But it comes with so many nice features. But the important thing is understanding it’s strong points and shortcomings before buying the camera then you have to decide it’s the right camera for you. Strong points are it gives you bigger format photo prints which are nearly the same as 3×4 Polaroid 600 film. If you want a cheaper alternative for Polaroid 600 camera then Instax 210 is the camera for you. Also, it comes with Close-up lens adapter for self-shot portraits. Outdoor photos are great and indoor photos are good too if lighting conditions are good. Photo paper price is cheap and around $0.50. If lighting conditions are bad then you can get blurred photos. If it’s indoors, make sure to use the flash. But this something common for most Instant photo camera in the market especially in old models. Also, the camera is really big and big heavy. This is not a hang bag camera like those Fujifilm Instax mini models. This model powered by AA batteries and that’s one reason why it feels bit heavy (Not heavy as a DSLR camera). Recommend you to buy several sets of rechargeable AA batteries if you want to use flash a lot or want to take several film packs. The best rechargeable batteries in the market are Sanyo Eneloop. These batteries last long before going dead. Also cheaper. Make sure to buy an Eneloop charger along with batteries. Instax 210 camera uses Instax Wide Film which is better than Mini Film. This film use to be bit expensive than mini type but now both films are the nearly same price. Since this Wide film is nearly same sized as Polaroid film so if you want a bigger format but cheaper photo type then this is the best type of film. Not everyone like credit card size mini film but apart from those old Polaroid cameras only other two options are Instax 210 camera and Polaroid z340 Digital instant camera. Polaroid z340 is an expensive camera so not exactly a cheap instant camera. 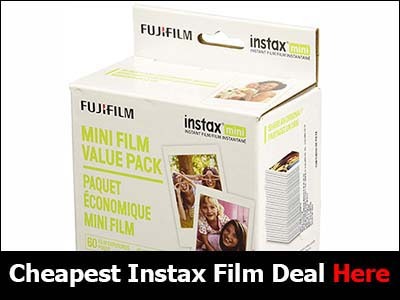 If you want a cheap instant camera which uses cheap instant film and also large photo format then this is the best option you have in the market today. You can buy this from Amazon for less than almost all other instant cameras and there isn’t a single instant photo camera which you can buy for less than that ( Those old Polaroid models not counted). Even Mini 8 cost you more.